STATEN ISLAND — Diners in a Staten Island restaurant won't have to travel far to find out where their food came from. Recently opened eatery Blue, at 1115 Richmond Terrace in Livingston, has partnered with Snug Harbor Cultural Center's Heritage Farm to serve produce grown just blocks away. "We will be working together with the farm to incorporate seasonal, locally grown fruits and vegetables," Blue's general manager Lee Gunasinghe said in a press release. "We believe that our partnership will help raise attention to the farm as well as provide our customers with the best produce available." Some farm-to-table specials using the Staten Island produce are Patty Pan Squash and Shrimp, Steak Crostini and Choirino, the release said. "If you make an effort to eat what is in season, you are guaranteed to be eating the freshest, most nutritious foods," said Snug Harbor CEO Lynn Kelly. "We are pleased to be working with Blue restaurant to promote the importance of locally based agriculture and make it more accessible to all Staten Islanders." The two-acre Heritage Farm started last year to bring back the tradition of farming to the former home for retired sailors, according to Snug Harbor. The farm opened a stand in July to sell its produce to the community until the fall. 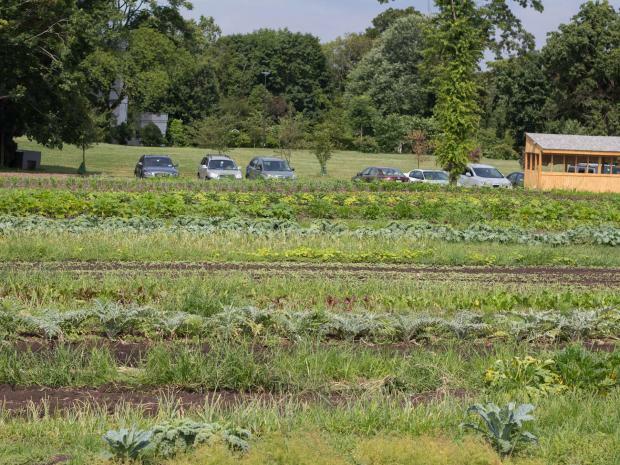 The stand also donates a portion of their yield to local food pantries, and hosts food-related education for the community to learn about healthier diets, urban farming and preservation, Snug Harbor said. "The whole goal is about nutrition in the community and educating that community," farm manager Gus Jones told DNAinfo.com New York in July. The waterfront Blue restaurant, which opened earlier this year, serves a menu of Mediterranean food mixed with Asian flavors, the release said. For those who want to sample the produce outside of the restaurant, the farm stand is open every Tuesday, from 2 p.m. to 6 p.m. until September 25 in front of Heritage Farm. It will also be open for Thanksgiving and Christmas.